The panorama can be viewed in full screen via the QuickTime plugin, allowing you to view the scene in 360x180 degrees at high resolution. 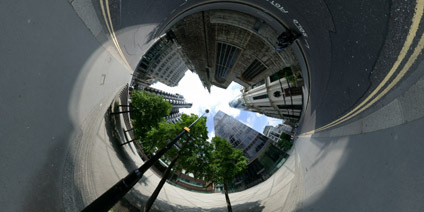 View the panorama of the Swiss Re Building, London (2.8mb). really cool building, use it in a episode of SPOOKS.i know it is in the background,but again use it!! !